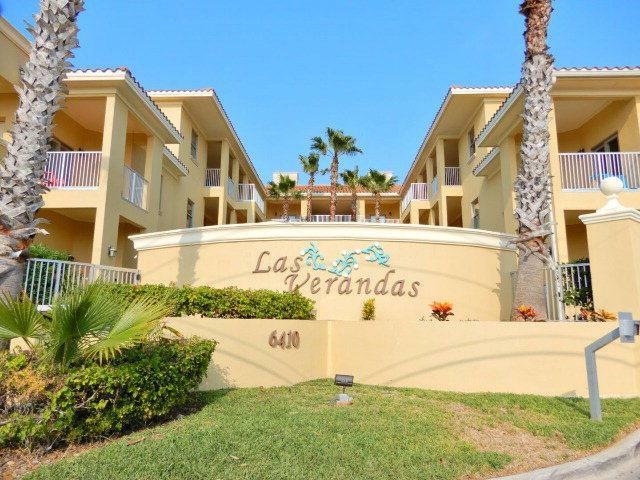 Spacious 3 bedroom 2 bath ground floor unit at Las Verandas. 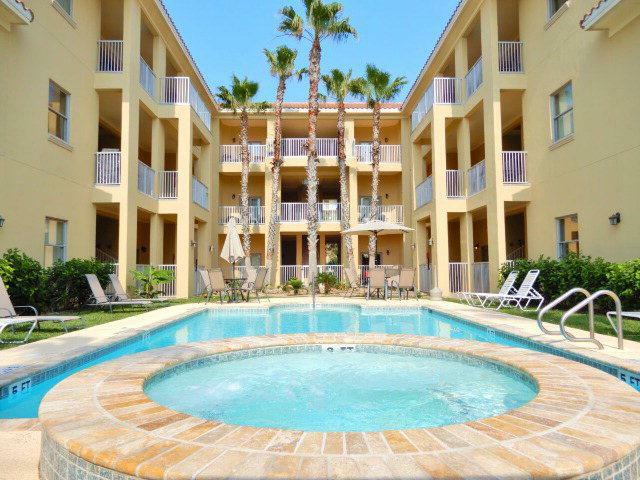 Large social areas, TV room, suite bathrooms are provided in this luxury unit. Granite counter tops, nicely (partial) furnished. 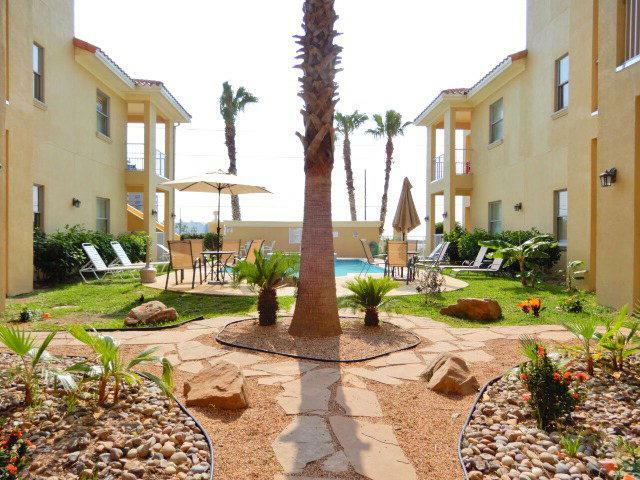 Full size washer / dryer, stainless steel appliances, additional kitchen counter seating. Must see unit to appreciate. Complex has gone thru several repairs. All windows removed, flashed and sealed, new under layment on roof, repaired loose stucco on building. Nice landscaping and pool furniture. Elevators on property make easy to visit others upstairs. Has Alarm system installed.